I don't know about you, but as soon as the Christmas tree goes down, I can't wait to decorate again and switch things up at home – so I'm really excited that Bouclair's End of Season Sale is already on. While stock lasts, you can find furniture, home décor, bedding and more for buy one, get one 50% off. It's honestly the perfect chance to do a little bit of redecorating and furnishing, and you really can't get prices like this the rest of the year. And since it's Bouclair, you know you can find a TON of things with cute slogans in English and in French – like this Laundry Loading Hamper, which is already just $19.99. To be specific, almost ALL regular-price items are buy one, get one 50% off – so just remember to shop in pairs and have an even number of things when you check out. And when you do, keep in mind that shipping to a Bouclair store is always free and that home delivery prices can vary. Bouclair's Boxing Day Sale is almost here! And if the sale is anything like last year's promotion, there will be savings on everything. Yep, everything. We're talking store-wide buy one, get one 50% off. This discount even applied to already reduced merchandise, woohoo! 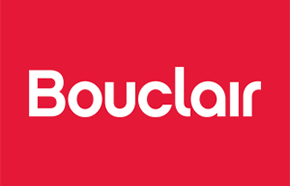 Click here to shop @ Bouclair Canada now! "Ship to store" is always free, but otherwise shipping rates are determined by weight, size and destination.